Since the first event in 2012 the Bobbo has raised over $1 million in funds thanks to you our riders! To help countless people in in crisis, often with their lives on the line, whether through our main charity partner Lifeline or the many other charities we support. Find out how you can help these charities by organising your own fundraising activities with our tips below or visit our fundraising tools resource page here. Lifeline is the "Bobbo's" primary charity beneficiary - with 50% of funds raised going directly to enable them to help those with mental illness and suicide. And it's help greatly needed. Mental illness affects 1 in 4 people. It might be the person next to you. It could be the person you least expect. Every day in Australia, around 180 people attempt suicide, and every day in Australia, 8 people will die by suicide. But there is hope. Lifeline services operate 24 hours a day, and every call has one thing in common: it is a cry for help. The money raised from this event will help Lifeline do extraordinary things for people affected by depression and suicide in our local community. The other 50% of funds raised are shared across selected Rotary International charity organisations, including those helping disabled children, supporting a children's hospital, supporting adults facing domestic violence ... and more. Just a little of your effort will go a long way, and simply because our donors and fundraisers love to make a difference in the world we live in. And remember, as well as helping people in need you could also help yourself if you raise $500 or more, because we will refund your registration fee. We will keep track of how much you’ve raised and when it reaches $500 we will organise for the fee to be refunded. $1 million is a lot of money – but how far does that go? Well the short answer is a long way – but there is still a long way to go. When people call Lifeline for example, they are in serious crisis and to add to their distress they may well find they are held in a queue. The sad fact is that at certain times there is more demand for help than supply. So what can you do about it? 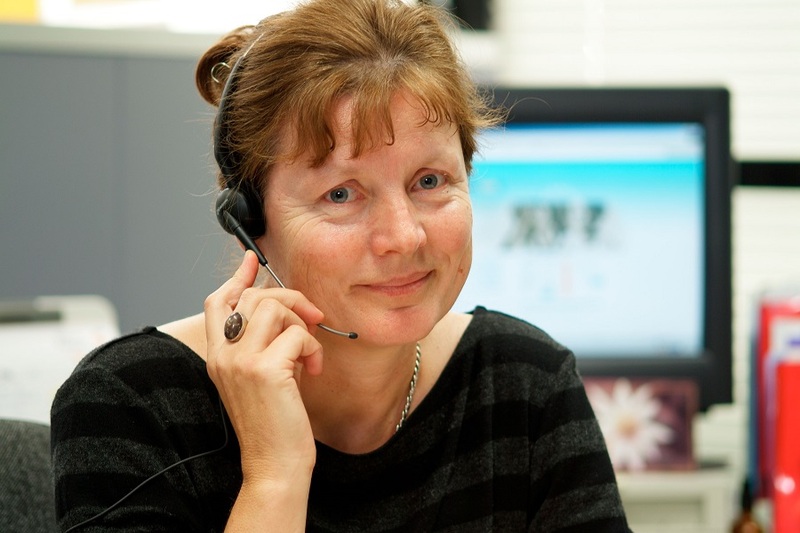 Each phone call costs Lifeline $26, and with a phone call to 13 11 14 every 32 seconds, Lifeline needs your support. If you get 5 of your close friends to donate $50 each that’s about 10 more phone calls – which could make all the difference to 10 more lives. Each telephone crisis counsellor needs training and $500 helps to cover the cost of training someone to be on the other end of the line when someone is in crisis. That’s the equivalent of a $50 gift from 10 of your friends so those desperate people aren’t held in a queue. We know not all riders will fundraise but if just a third of our riders raised $250 each that equates to about $250,000. It only takes a few friends and relatives to chip in a small amount to hit that target, and our fundraising tools will make your job a lot easier. If you love these events, just think how much more you’ll enjoy it knowing you’re helping Lifeline and other charities to care for people who need support. So please become one of our fundraisers and feel proud of the difference you will make to those who need our help. Take a few minutes to read about the charities supported by the Bobbo and decide in your own mind why they deserve your effort – and lead the way by being the first to give to your own fundraising effort. Put a bit of thought into your fundraising age (see button on the left) and upload a smiling photo of yourself – doesn’t have to be in full cycling gear! People just want to see who they’re giving to. Start with your loved ones – spouse, partner, parents, kids – get them to give up a week’s pocket-money for you (aww Dad!). Then friends, wider family and colleagues – and don’t forget the shopkeepers and other businesses you frequent – they can reward you for your customer loyalty! This goes back to the reason why you are fundraising in the first place. Just make sure you convey the importance of fundraising – it helps to give people clarity on how their money is spent (this can be on your fundraising page). By far the easiest channels to use to get the message out there. And remember if a friend didn’t give on the first ask – send them a gentle reminder. Most people won’t mind a bit of a nudge! For emails we’ve got email signatures, for social media we have several images with links to your fundraising pages which you can either post or use as a profile picture (access using the button on the left). There are also posters you can put up at work to rally people to the cause or perhaps recruit riders. Some employers may even match your donations with their own. If you create a work team it could be a sponsorship opportunity perhaps with team T-shirts. As you progress in the weeks leading up to the event, perhaps add bits of news if something great happened like a big donation – or just to remind people how close you are to your goal. And if you pass your goal – don’t be why about making a new one!! The fundraising system will send out a message to a donor when they give but people will always love to hear from you with a personal message of thanks. If you have friends you would like to ride with bring them along. It’s more fun to ride with people you know, but also it’s easier to fundraise when you’ve got someone to give you moral support. Make sure you upload a great photo of yourself – as a minimum it needs to be a happy one – but how about including something relevant to the event or the cause? Make sure you set your goal – high enough to give you something significant to aim for, but at the same time achievable. If you would like to support a rider with a donation you can search for them here. Just click on the button and enter the rider’s name. If you want to support a team, you can search for the team name instead. You can choose from several tool types. Here are some posters for your workplace or club perhaps – anywhere you might recruit sponsors or team-mates. If you want to create a team visit the team page here for instructions. Here are some pics you can use to share the message on whichever social media platforms you use to connect with your family, friends and colleagues. Update your profile picture on Facebook to let everyone know you are riding the Bobbo and raising funds for great causes. Update your Facebook cover image to let everyone know about your fundraising drive. Third prize will be announced in due course. Winner will receive an invitation to the charity presentation dinner. The presentation dinner will be held in May 2019. Although the Bobbo is not a race – there are prizes for a timed 4km section from the bridge at Bobbin Head to the NPWS toll gate on Bobbin Head Road. See Map. The best team time (aggregate time of the best 4 riders in the team).